Swim, canoe, fish or take in the sun. 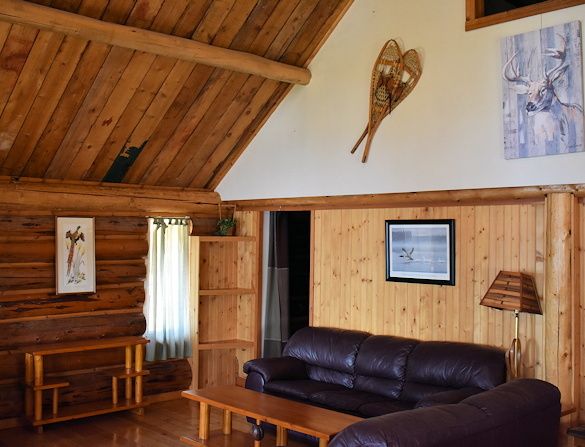 Postill Lake Lodge Fishing Resort offers comfortable accommodations in new and updated lakefront cottages and cabins equipped with housekeeping facilities. Plus, lakefront or upper campsites, motor and boat rentals. 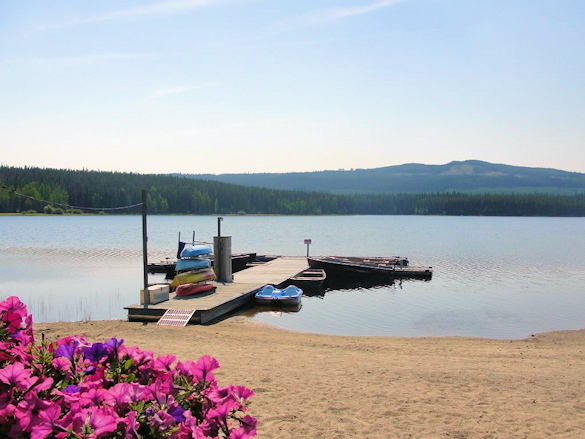 The Okanagan region of British Columbia is renowned for sunny summers, and Postill Lake Lodge Fishing Resort offers a variety of outdoor activities: fishing, swimming, boating, mountain biking, hiking nature trails, and outer lakes to explore. We have a playground for children, and we are pet-friendly. WHERE THE FISHING IS THE BEST IN THE WEST BY A DAM SITE! Postill Lake Lodge is both a family oriented resort and fishing resort. In the spring, we have the most fabulous trout fishing you can ask for! You’ll cast to BC’s famous fighting Rainbow trout and Speckled Brook trout. Bring some in for a tasty meal. In addition to Postill Lake, five nearby lakes offer the adventurous angler access to a variety of trout fishing, ideal for belly boats: Twin Lakes, Meadow Lake, South Lake, Roddy and Heron. On Twin Lakes we can offer lodging in a fully equipped rustic cabin. Don’t have a boat? No problem. We offer boat and motor rentals. At Postill Lake Lodge Fishing Resort you can stay in lakefront cottages and cabins equipped with housekeeping facilities. New and updated, we have tried to keep the rustic heritage feel, while providing the important things to make your stay enjoyable. Cottages are fully self–contained with hot & cold running water, toilets, showers and fridges. All cabins at our resort are equipped with housekeeping facilities, with outhouses for each cabin, plus a central showerhouse complete with flush toilets. Some cabins have cold running water and toilets. Postill Lake Lodge is located on Postill Lake, nestled in the mountains above British Columbia’s lush Okanagan Valley. The turn off to Postill Lake is located at the north end of the Kelowna airport runway. The Okanagan region is BC’s favourite vacation destination. Long renowned for it’s hot, sunny summers and golden autumns, clear lakes and sandy beaches, the Okanagan is also home to miles of farms, orchards and vineyards! Okanagan wines win awards at international wine competitions! Our wineries each have their own unique character, and guided tours and wine sampling is a popular with visitors. 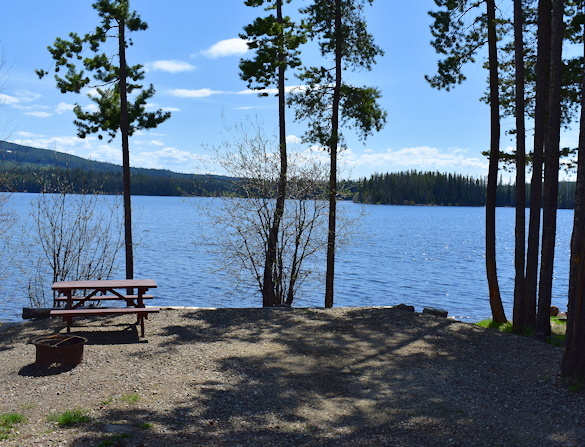 When you stay at Postill Lake Lodge, you are les than an hour away from everything the Okanagan has to offer. Shopping, entertainment & summer fun.